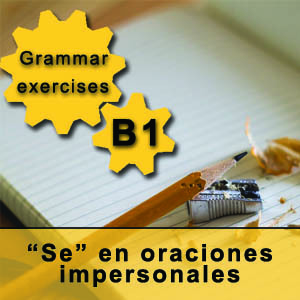 Possessive adjectives in Spanish are used to express possession or ownership. They are like any other adjective in Spanish, so possessive adjectives must match the nouns they describe in gender and number. There are two ways of expressing possession in Spanish using possessive adjectives in Spanish. The first one is placing the possessive adjective before the noun (in this case the adjective has its short form), and the other one is placing the possessive adjective after the noun (in this case the adjective has its long form). 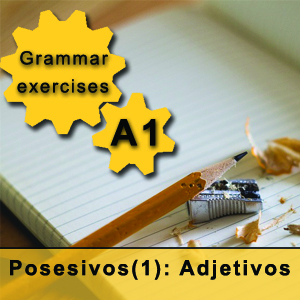 This exercise, which you can use to complement your Spanish courses in Madrid, is designed to help you practicing the short form of possessive adjectives, that is, the one that is always placed before the noun. In the following table, you can see how these possessive adjectives are, depending on the owner and the number of things owned (whether they are singular or plural). Remember that the possessive adjectives in Spanish must match the noun they are modifying in number, and, in the case of the plural of the first and second persons, it must match also in gender. So for example, if you want to talk about the teacher or teachers you have in class, you have to pay attention to the genre and number of “teacher/s”. If it is a male teacher the sentence would be “nuestro profesor”, if it is a female teacher the sentence would be “nuestra profesora”, if they are more than one male teachers the sentence would be “nuestros profesores”, and if there were more than one female teachers the sentence would be “nuestras profesoras”. Here you have some examples to make this point clear. Focus on the genre and number of the possessive adjective and the noun they are modifying. Once you have understood the use of possessive adjectives in Spanish in their short form, we want to give you a small piece of advice that will help you sound more Spanish when you speak. In Spanish, the short form of possessive adjectives is not normally used when talking about body parts or other things that it is obvious that only the speaker could possess. Instead, we use the definite article (el/la/los/las) and guess the owner from other elements in the sentence (normally a verb). We hope we helped you get a better understanding of possessive adjectives in Spanish. You can download this grammar exercise to practice. If you have any question or want to tell us your experience with this grammar exercise, please let us know in the comments below, or visit our Spanish school in Madrid.